It's been an exciting week in our South Lake Union offices: Rehearsals for The Consul have officially begun! This Seattle Opera premiere will undoubtedly take audiences on a thrilling yet nail-biting ride through a story that, while fictional, remains tragically relevant to this day. Menotti's Cold War tale depicts an inhuman bureaucracy that poses a formidable obstacle for a woman desperate to flee a totalitarian state with her family. Gian Carlo Menotti’s intensely human score won the Pulitzer Prize for Music in 1950, the New York Drama Critics’ Circle Award for Best Musical Play, and played for more than 100 performances on Broadway. Seattle Opera’s production, which features several leading alumni of the Seattle Opera Young Artists Program, opens on Saturday, February 22, and runs for seven performances through Friday, March 7. General Director Speight Jenkins says The Consul was timely when it was composed, and it still is even today. At the podium it's none other than Italian conductor Carlo Montanaro, whose Seattle credits include Don Quichotte, Attila and last year's La bohème. Returning to direct is longtime Seattle Opera director and performer Peter Kazaras. (You last saw him in a lovely purple ballgown as The Duchess of Krakenthorp in Daughter of The Regiment). Like Jenkins, Kazaras emphasizes the relevance of this human-rights story. As Kazaras put it, The Consul is the tale of what happens when people become numbers rather than human beings. Whether it's in Syria, in parts of Africa, or elsewhere, one need only turn on the news to realize this is still happening today. Introducing The Consul to Seattle Opera, Kazaras invited the staff and the cast to share our own, and our families', experiences of fleeing persecution. The stories that people shared were haunting: from family members running from the Nazis, to grandparents who had suffered under Communism, many of us have either experienced or had a family member who has suffered under bureaucratic oppression. It goes to show that opera need not be set in fantasy land or "long ago and far away." Opera is about us. 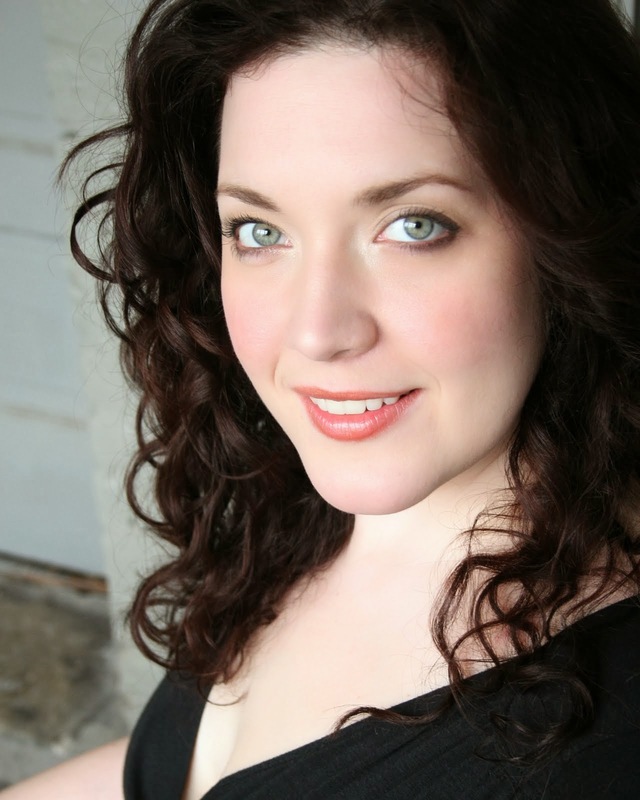 One of the highlights of the show will no doubt be the performance of dramatic soprano Marcy Stonikas sing in the leading role of Magda Sorel, a devoted wife and mother desperately trying to save her family. Stonikas, who last year sang Leonore in Fidelio and the title role in Turandot for us, is one of nine former Seattle Opera Young Artists graduates in the production. in the Seattle Opera premiere of "The Consul"
Additional former Young Artists include mezzo-soprano Sarah Larsen, who returns to play The Secretary back-to-back following her role as Maddalena in Rigoletto; Michael Todd Simpson, who recently sang Marcello in Seattle Opera's 2013 La bohème, now returns as freedom-fighter John Sorel; Alex Mansoori as vaudeville magician Nika Magadoff; Joseph Lattanzi as Assan; Dana Pundt as Anna Gomez; Deborah Nansteel as the Foreign Woman; mezzo-soprano Margaret Gawrysiak as Vera Boronel and Vira Slywotzky as Magda Sorel in the alternate cast. February 22, 26, 28 and March 1, 5, 7 at 7:30 p.m. February 23 at 2 p.m.
For full cast, more information and tickets, please click here.